Additional place – 6 900 Rub. 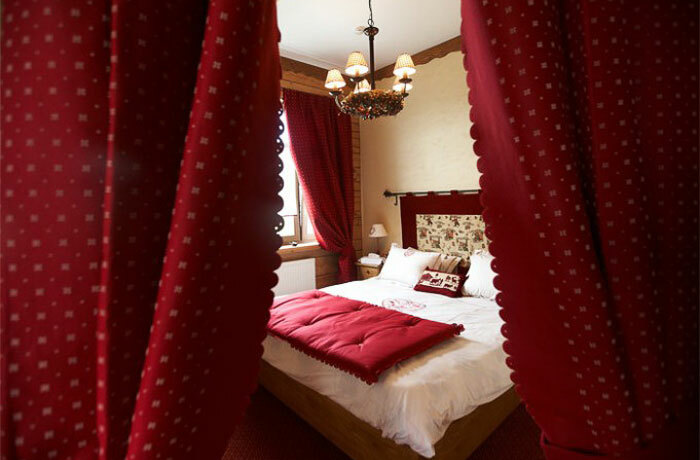 Rooms “Bordeaux” and “Vichy” are located in the Main Guest House. 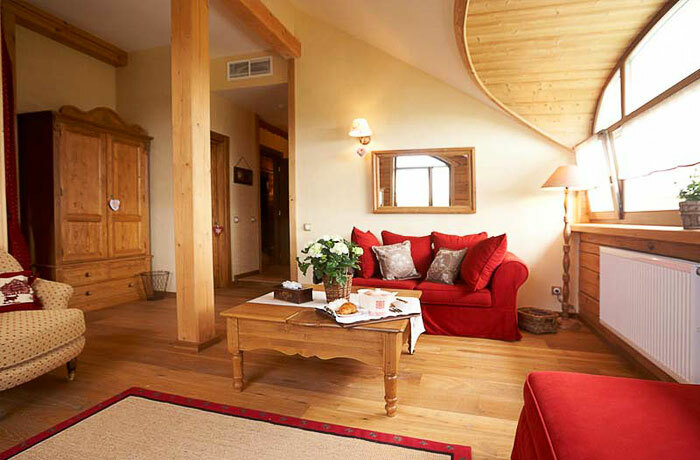 The finishing of each room is made with only natural materials: marble, plaster, oak, northern fir and larch. 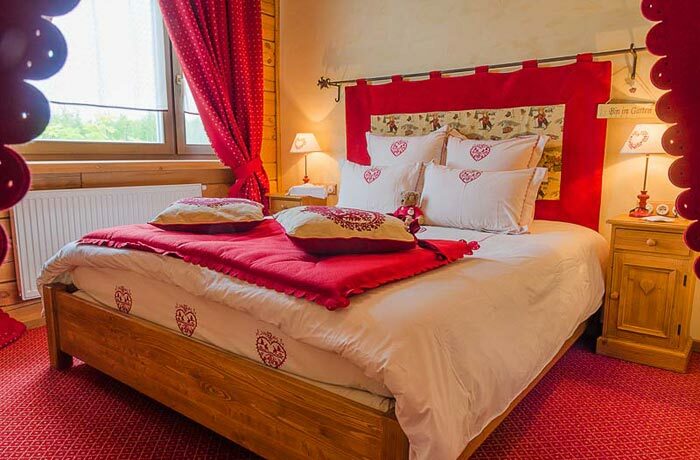 The interior of the bedrooms is inspired by Alpine small houses: soft flax draperies, burgundy bedcovers, multiple soft pillows and nice accessories with country style prints. 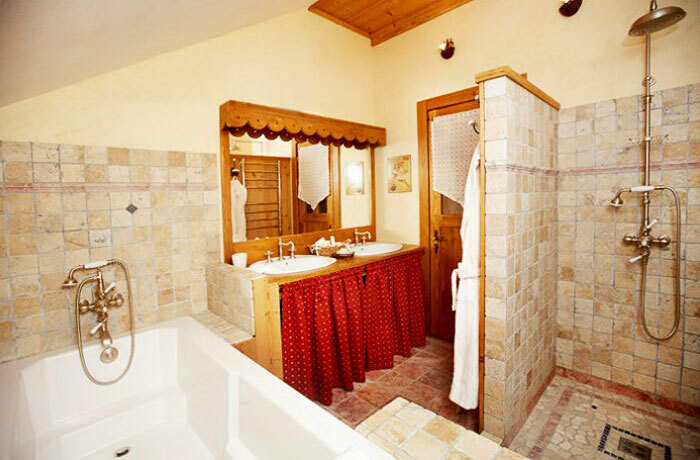 In the bedrooms our guests can enjoy furniture made of aged pine tree, bathroom with stand alone Italian shower, large bath and warm floor, king-size bed, downy pillows and covers, French bed sheets, bathrobes and toiletry. The rooms are also equipped with plasma TV, safe box, mini-bar, weights and WI-FI. “Vichy” suite of the total space of 40 sq. m. includes 2 rooms: bedroom and guest room with soft chill-out area in front of TV. “Bordeaux” suite (40 sq. m.) is divided with drapes into two areas: bedroom and lounge room. The bedrooms have a wonderful view on ponds, apple trees garden, field for polo and pasture where our nurslings spend their sunny time in summer. 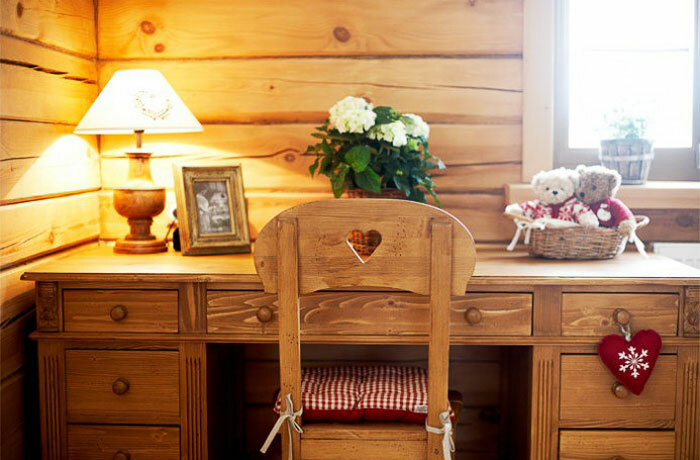 Additional place – 5 000 Rub.